Once upon a time, even the most basic of 40-inch televisions was considered top of the line. That is no longer the case in today’s high-tech environment. 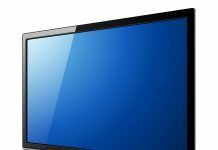 Forty-inch TVs are now considered standard for most households in America, and manufacturers must focus on the features and details of their sets to differentiate their offerings from the competition. Whether it’s for gaming or enjoying your favorite movies in high definition, the last thing you want to do is walk into your favorite department store and grab the first TV on the wall. That’s why we’ve put together our list of the very best 40-inch TVs currently available on the market to help you find the perfect set for your home. Before we get started with our review, let’s go over some of the more popular questions from TV shoppers that you should understand before heading out to purchase your 40-inch TV. 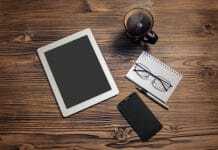 The term high definition gets thrown around a lot in conversations about TV and computer screens, but most buyers are not aware of the differences between “high-definition” sets. Ultra HD, also known as 4K, contains four times the number of pixels of full-HD 1080p TVs. Full-HD screens have a resolution of 1980 by 1080 pixels while ultra-HD screens have a resolution of 4830 by 2160 pixels, which is slightly less than what’s delivered by cinema screens. With four times the pixels comes four times the amount detail and clarity. 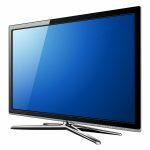 While the differences between the definitions are truly noticeable in screen sizes of 50 inches and higher, ultra-HD screens certainly offer an advantage especially when viewing a program that is using High Dynamic Range. Do I Really Need a Smart TV? Yes. Smart TVs offer the ability to run Netflix, YouTube and other streaming applications without the need for external devices such as a Roku, Amazon Fire TV or Chromecast. Traditional “dumb” TV sets don’t come with these capabilities, and as a result you will need to purchase these add-on devices separately. What Else Should I Be Concerned About Besides the Picture and Sound Quality? Most people don’t pay much attention to the type and number of input and output ports when buying a new TV, but it can often end up playing a crucial role later. From HDMI ports to RCA connectors, you want to make sure that your new TV can support your current connectivity needs as well as provide the ability to expand in the future. High-definition TVs have come a long way and so have their prices. Depending on the brand and model you choose, you can expect to pay anywhere between $230 and $1,200, with 4K TVs being on the higher end of that range. Our reviews are based on a thorough analysis of each TV including, but not limited to, their features, performance, costs and warranties. In addition, we also consulted expert reviews and customer feedback to determine whether the TVs lived up to expectations. By taking all these factors into consideration, we’re able to create an unbiased listing of the best available TVs. Without further ado, here is our list of the top 40-inch TVs that you can purchase right now. Let’s take a look at each of them. The 40-inch Samsung UN40M7000 offers many fantastic features including comprehensive smart technology. Its LED display delivers outstanding picture quality with sharp contrast using its 4K Color Drive Pro and 4K HDR Pro technologies. Its OneRemote can automatically detect and control all connected devices and content without manual programming. The slim, space-saving design allows it to fit almost anywhere whether mounting it on the wall or on the included stand. This 43-inch set is part of VIZIO’s E series of TVs meant to provide superior quality at an affordable price. The device comes with VIZIO’s award-winning full-array local dimming technology which creates deep black levels with extraordinary depth and detail. It uses Dolby Vision HDR to deliver superior color, brightness and contrast. Its special scaling engine can transform HD and full-HD content to 4k ultra-HD resolution. The E Series uses VIZIO’s Smartcast based on Chromecast as its smart TV platform. The UN40MU6300 is another fantastic 40-inch model from Samsung. It includes smart TV capabilities plus internal wi-fi and Bluetooth connectivity. The screen comes with 4K Color Drive technology along with full 4K HDR resolution and dimming technology that deliver vibrant pictures and smooth contrast. 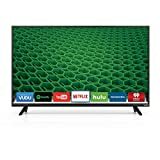 The D40f-E1 from VIZIO is a 40-inch full-HD TV and the perfect option for those who want a high-performing smart TV at a budget-friendly cost. It comes packed with VIZIO’s internet apps which grant you access to your favorite apps for movie and music streaming. It offers a full-array LED backlight which illuminates the entire screen for displaying uniform pictures. The Clear Action 240 technology and 120Hz refresh rate make it a great set for fast-moving content. 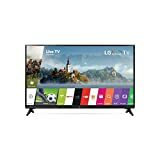 Dimensions (W x H x D): TV without stand: 38.5" x 22.6" x 3.2", TV with stand: 38.5" x 24.2" x 7.4"
The LG 43UJ6300 is a 43-inch 4K smart TV that comes with an integrated HDR feature that delivers an exceptional viewing experience. As an IPS LED TV the contrast ratio stays consistent regardless of the viewing angle, delivering rich colors and strong contrast. It comes with True Color Accuracy technology that corrects any imperfections with the colors on the screen to make them more lifelike. A refresh rate of 60Hz along with TruMotion 120 allows for a smooth, even display. The webOS Smart platform offers the usual streaming apps plus access to over 70 premium internet channels for free through the LG Channel Plus app. The Sony KD43X720E is an attractive, super-thin 43-inch 4K ultra-HD TV. It comes with Sony’s 4K X-Reality Pro technology which delivers lifelike detail and clarity. It comes with an edge-lit LED screen for more picture quality and includes the Dynamic Contrast Enhancer technology which brings more brightness and texture. With MotionFlowRX technology and a 60Hz refresh rate, you can enjoy fast-moving action without any blur. The XBR43X800E is a 43-inch 4K UHD TV with HDR running on Android’s smart platform. It’s an edge-lit LED unit with 4K X-Reality Pro technology that offers excellent picture quality with extra-fine details and a screen that can be viewed perfectly at wide angles. Using the powerful Triluminos technology, it delivers vivid and realistic colors. The 60Hz refresh rate and Motionflow XR technology deliver smooth motion for any type of content. If you’re interested in voice control, Google Assistant is included, and it’s also compatible with Amazon’s Alexa. A truly entry-level full-HD TV set, the TCL S-series offers good value at a low cost. Although it’s not a 4K screen, it delivers great video. 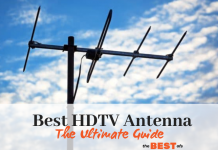 Along with the Roku TV operating system which provides you access to 4,000 streaming channels, it’s one of the better, yet underrated, high-definition TVs in its class. It sports a direct-lit LED with a refresh rate of 120Hz. The modern, slim design makes it an attractive device for anywhere in your home. Dimensions (W x H x D): TV without stand: 38.5" x 22.6" x 3.2", TV with stand: 38.5" x 24.8" x 8.7"
The LG 43LJ5500 is another entry-level 1080p smart TV. It features LG’s webOS 3.5 smart platform, and it’s great for large rooms given its wide viewing angles. The Color Master Engine technology helps to deliver more vibrant colors to your screen. The Virtual Sound technology delivers all-around sound almost similar to a surround-sound system. The TCL S-Series 43S405 is a 4K LED TV with Roku TV serving as its smart platform. It offers excellent contrast and color in almost any setting, and the Clear Motion Index 120 technology helps it to perform well with fast-moving pictures. The 4K Creative Pro Upscaling technology helps to bring your HD content to almost-4K levels. Purchasing a television is not as easy a decision as it once was. 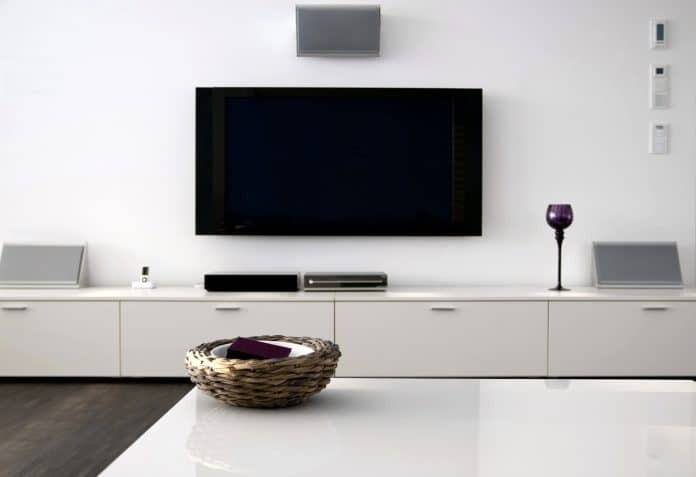 With the various levels of technology and capabilities, making sure that you’ve done your research ahead of time is key to finding the right TV that can last several years. With that being said, the right TV for you is most likely going to be based on your budget. 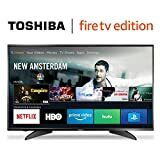 If you’re working on a low budget, then entry-level TVs like the TCL S-series 40S305 or VIZIO D Series D40f-E1 may be good options. Although they may not possess all the capabilities of the more expensive alternatives, they certainly provide the basic functionalities that you expect from a high-definition TV including attractive designs, full-HD displays and smart TV platforms. At around $250, they’re certainly recommended devices for those on a budget or looking for something entry-level. If your budget is not an issue, then we recommend the Samsung UN40MU7000. 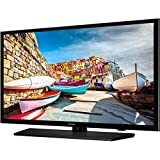 It offers everything you need from a high-definition TV starting with an attractive design and capabilities such as high picture quality, great performance in different settings and varied connectivity options. As you get ready to make your purchase, be sure to use this review as a guide to support you in finding the device that meets your needs.